Venice and gondolas go together like pasta and meatballs, pepperoni and pizza, monkeys and bananas. You get the idea. You can’t really have one without the other and these fascinating boats are irresistible. It is estimated that in the 19th century there were more than 10,000 of these flat bottomed boats plying the canals of Venice. Today there are about 500 and most of these are used to haul tourists like Kongo around. There’s a lot of symbolism built into these boats. 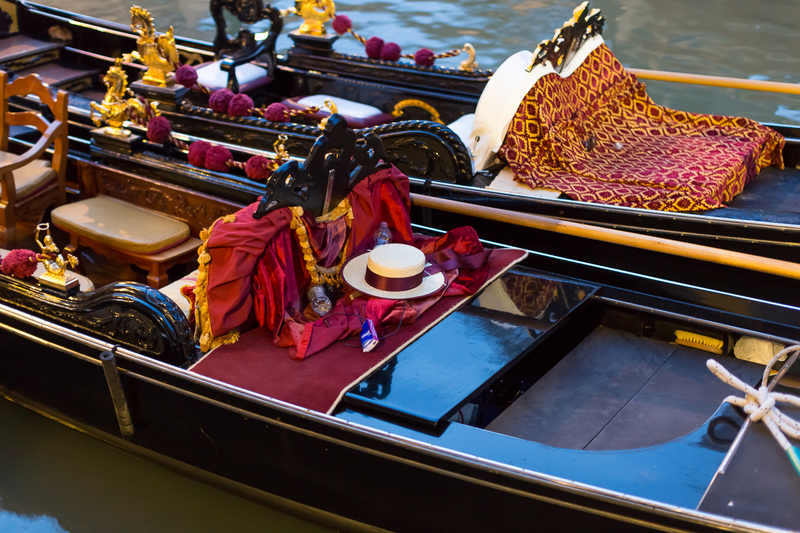 In the front, for example, is a plug of iron to counterbalance the weight of the gondolier who stands at the back and the S-shaped front piece with the notches represent the Grand Canal and the feeder canals, and various districts in Venice. Another interesting fact: The boats of a century ago had little huts on the boats where passengers could be protected from the elements and the sides had blinds that could be pulled down and adjusted for privacy. Hence the origin of the therm “Venetian blinds…” Really. 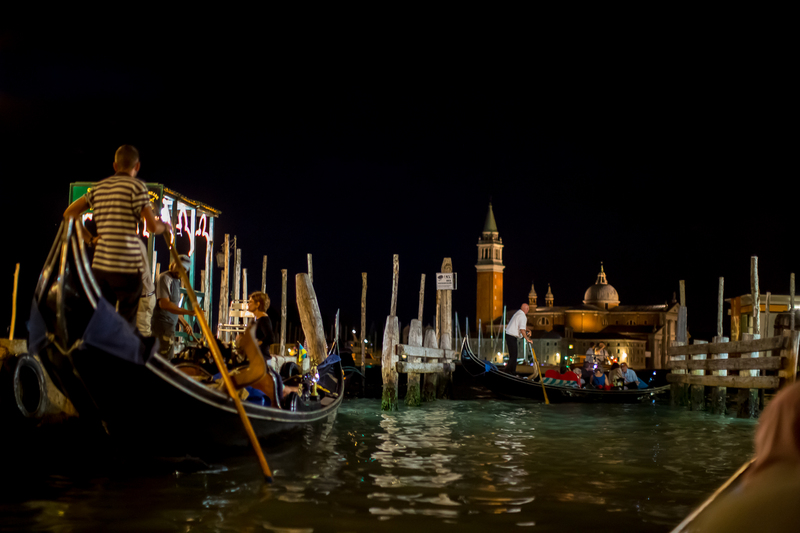 On Kongo’s last evening in Venice he and Mrs. Kongo went for a romantic gondola ride that lasted about 45 minutes. In our boat we also had music and it was fun to watch the reactions of those ashore to our passing boat with the accordion player and accompanying tenor. Very Italian. 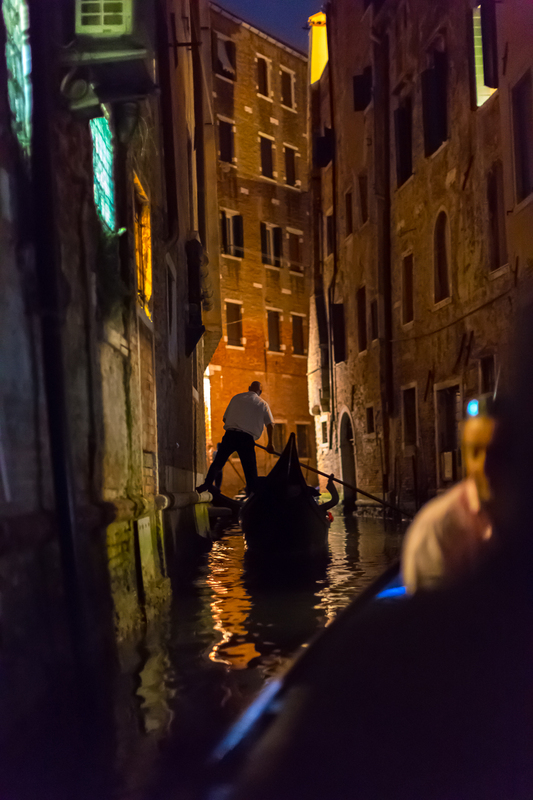 At times the gondoliers pushed off of nearby walls to maneuver the boat around tight corners. 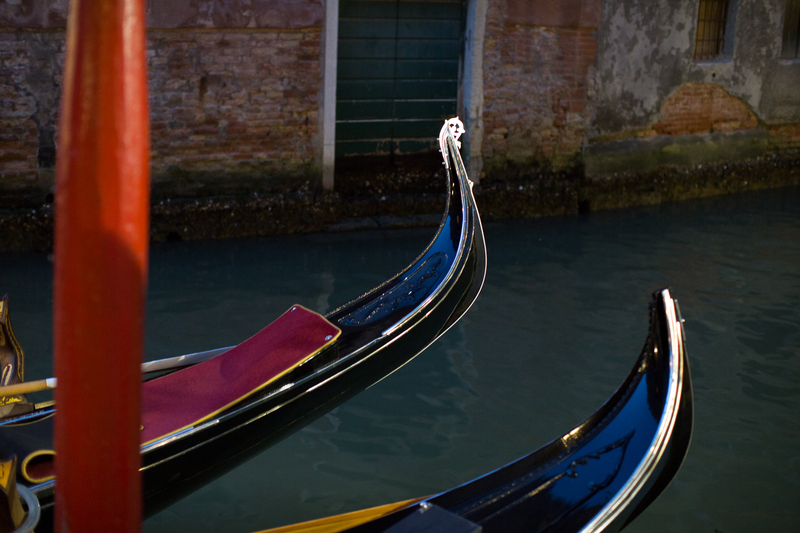 Gondoliers belong to a guild and there are only 425 licenses let in Venice. The first female was granted a license in 2010. 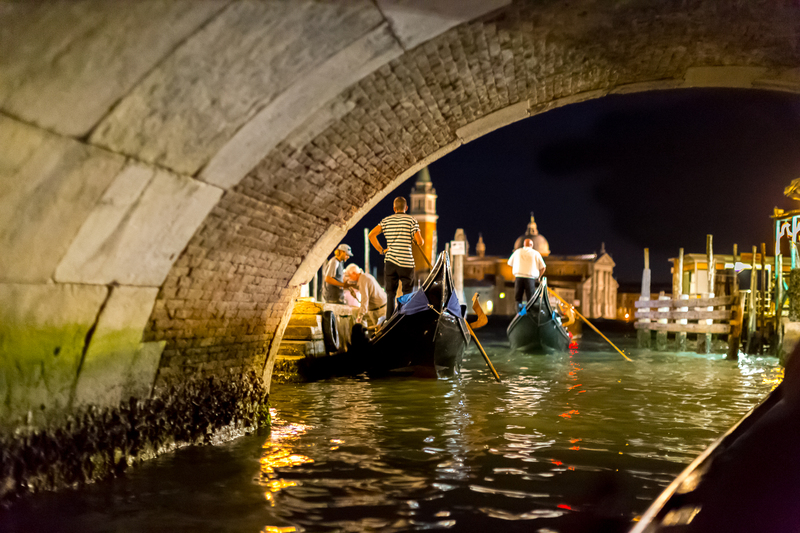 Gondoliers must demonstrate proficiency in maneuvering their craft, demonstrate foreign language skills, be able to recite details of the historic buildings in Venice, and practical water skills. Getting on and off a gondola can be tricky if you board in the lagoon as both the docks and the boat are rocking in the waves and they are not always in harmony. Typically a 30-45 minute gondola ride costs about 60 euro. Music is extra. 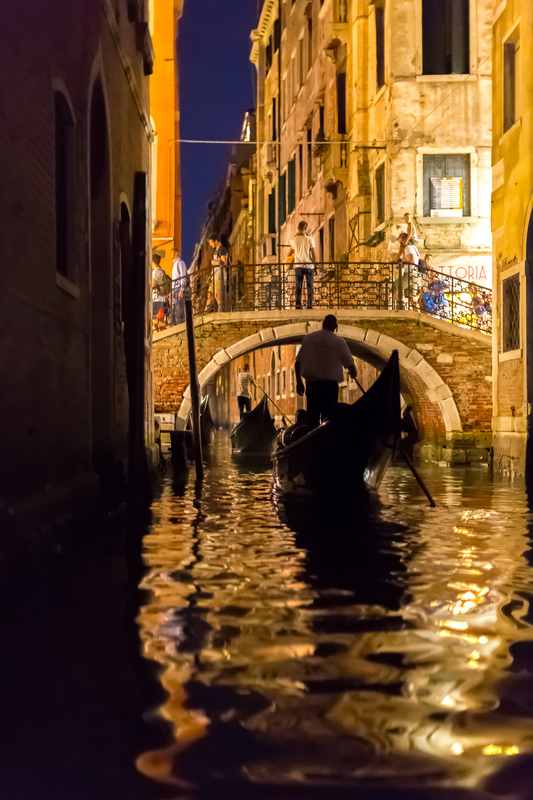 You can find gondola stops all over Venice, particularly in the evening. 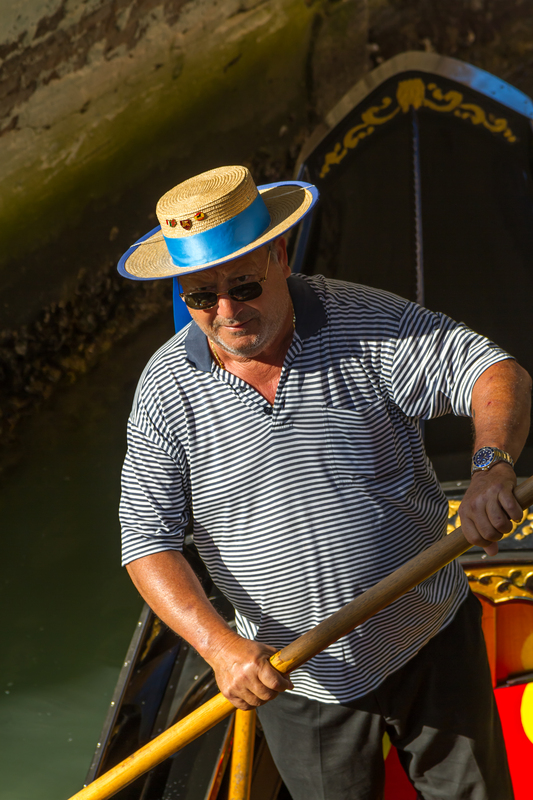 Contrary to many stories, gondoliers do not pole their way about the canals. The water in Venice is much too deep for that. 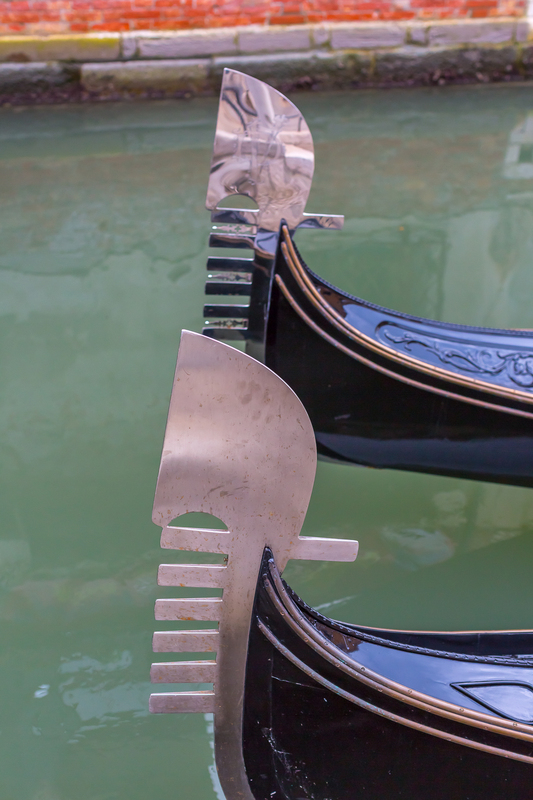 They use a single oar while standing in the stern of the boat facing the bow and the oar positioned in such a way that its drag keeps the heading from drifting left as the paddle is on the starboard (right) side of the gondola. 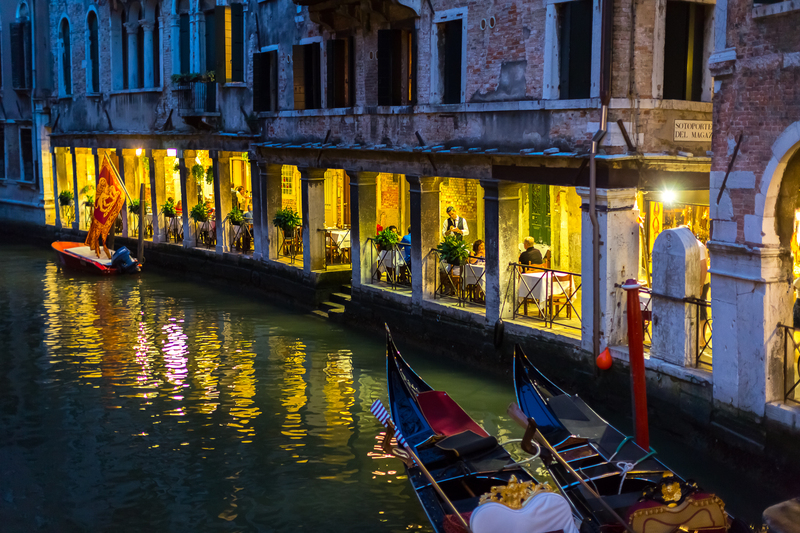 A great evening in Venice is a dinner at a canal side restaurant followed by a serenade and boat ride through the canals.